From May 10. – 12. 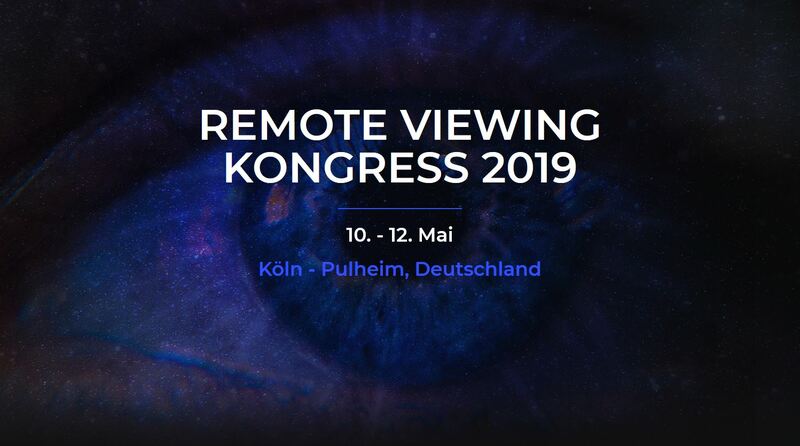 2019, a national Remote Viewing congress is going to happen in Cologne-Puhlheim. During the course of the next weeks more details about the presentations and presentators will be announced. The congress serves the exchange of information about Remote Viewing, the networking of scientists and private individuals, as well as the further development of methods and applications. Scientific studies and projects will be presented in order to give impulses for further research. Furthermore, there will be insights into the active linking of Remote Viewing with everyday (work) life. What results did sessions bring to the Moon and Mars? A review of the book “Hidden Goals” and comparison of the results with current research and developments. What did the future hold in store for us then? Top or flop – natural talent, optimal learning type or what? Day tickets for the individual event days are available at the box office. All prices are incl. VAT and VVK fee!